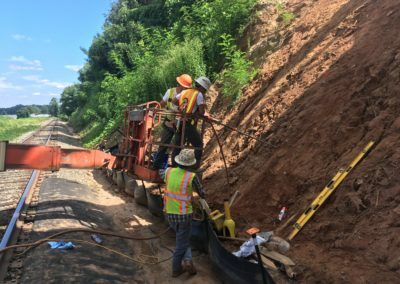 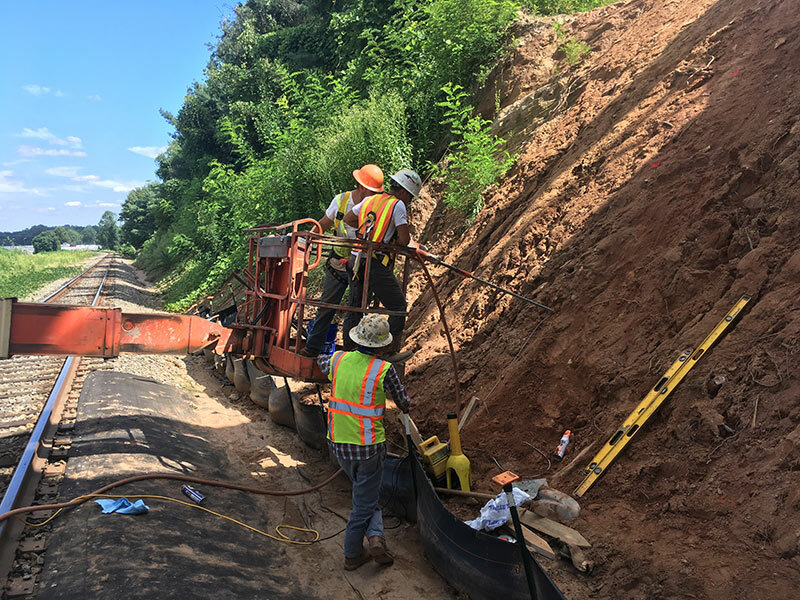 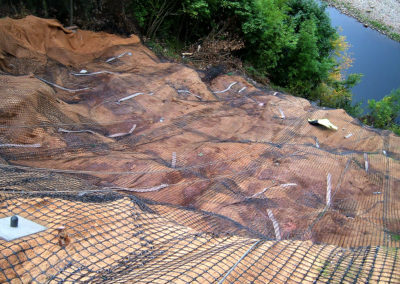 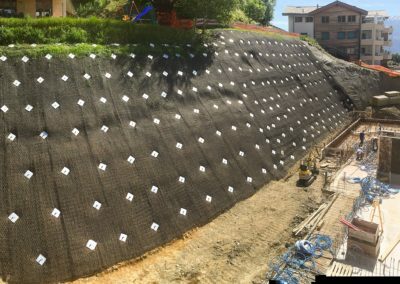 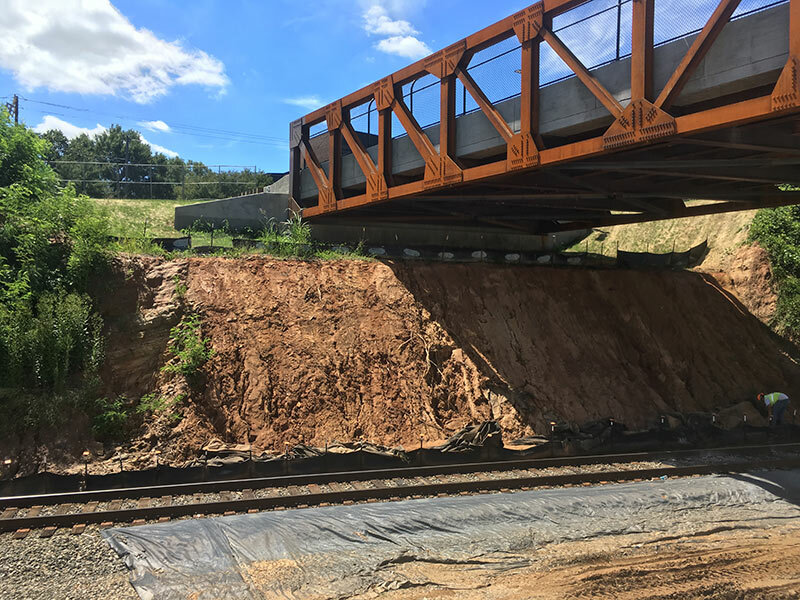 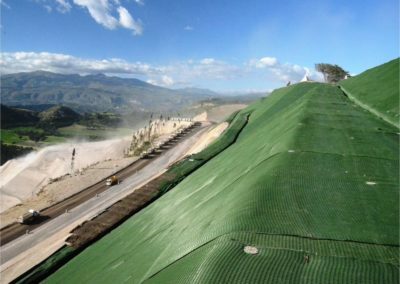 The Platipus ARGS® (Anchor Reinforced Grid Solutions) system was specified by a local Geotechnical Engineer who was very experienced in the local geology of the Piedmont region. 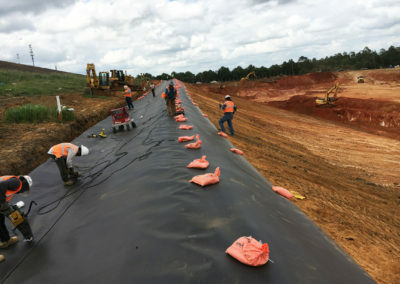 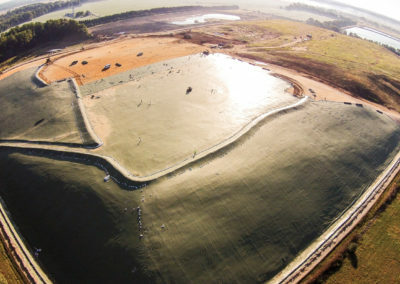 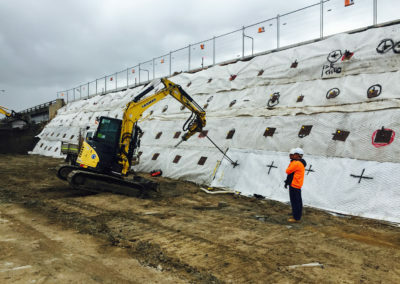 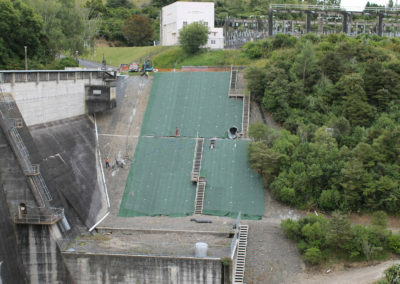 Summit Design and Engineering performed a global stability analysis and concluded that the depth of failure was approximately between 5 –10 feet deep. 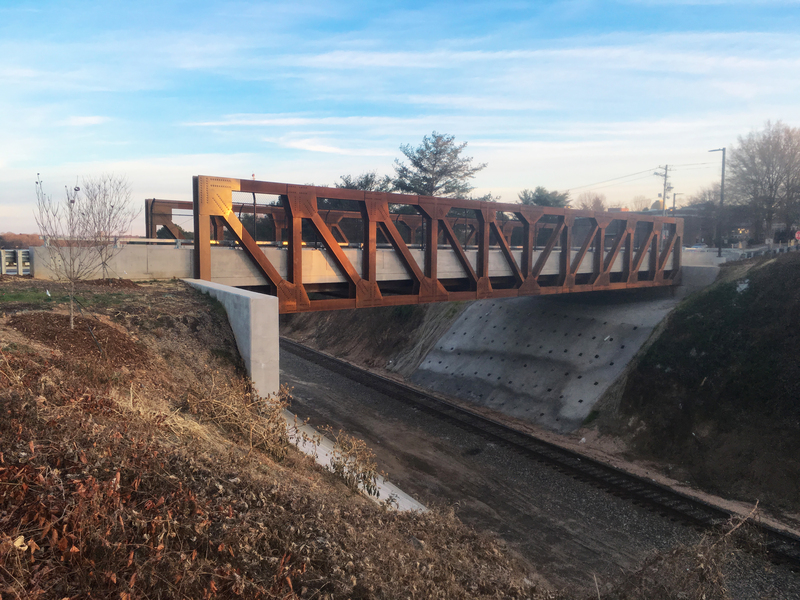 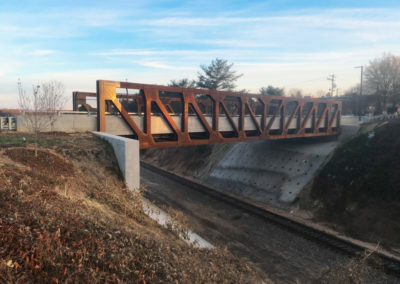 The design included a grid patterned of 2 TN anchors being driven to a minimum depth of 15′ and pre-tensioned to 2,000 lbs. 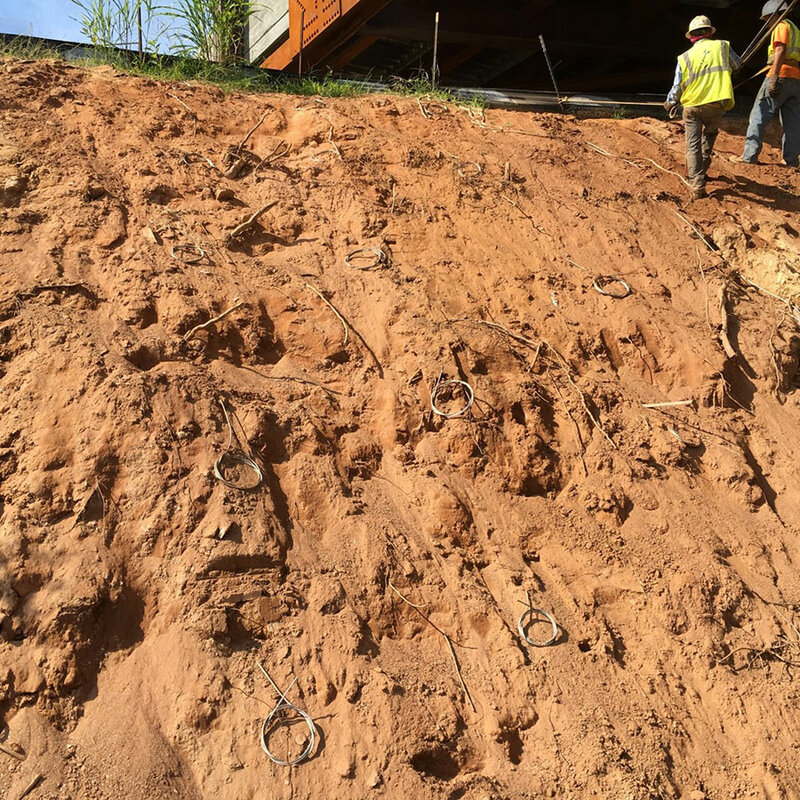 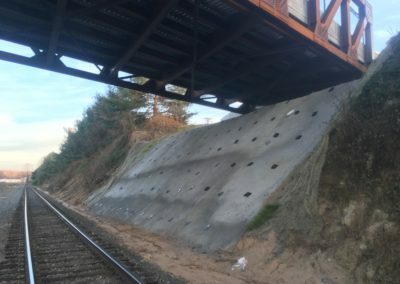 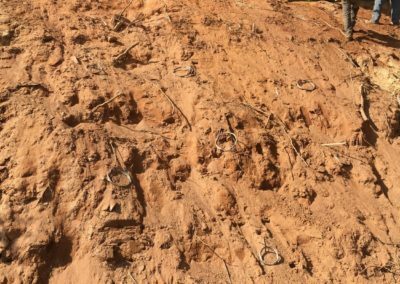 After all the anchors were tensioned, the slope was covered in a 4” thick reinforced concrete face including a 4”x4” welded wire mesh. 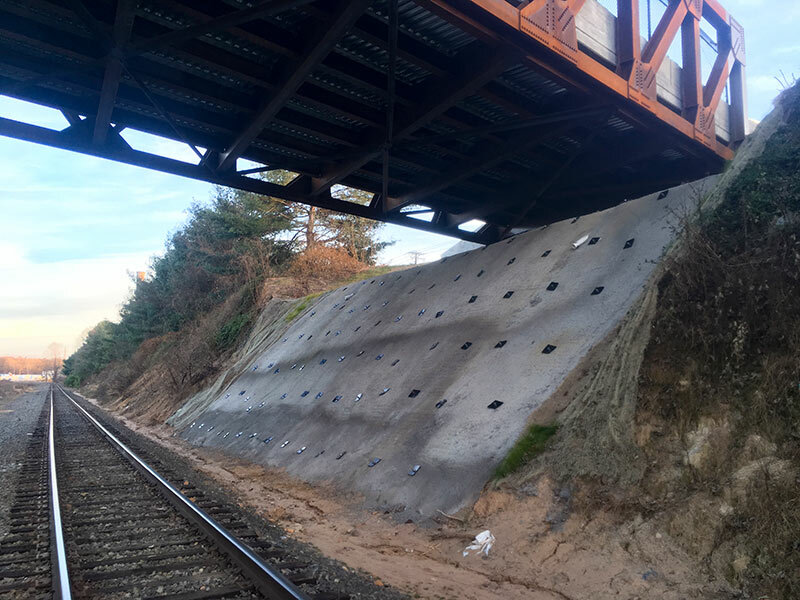 The load plates and wedge grips were post tensioned to the concrete face once the concrete facing had cured.